RADIO medical requirements concern monitoring Activities of Daily Living (ADL). 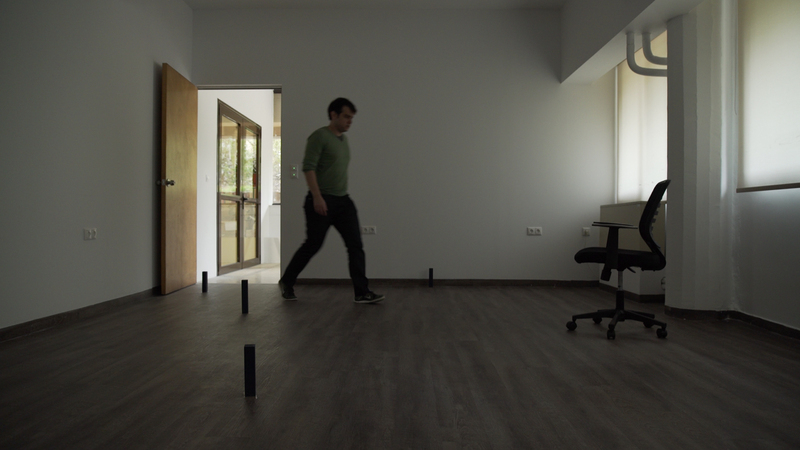 During the summer’s usability pilots at Fondazione Santa Lucia’s premises, among other ADLs, we are going to record how long it takes to a) stand up out of a chair and b) walk 4m. But what are the steps to develop a method that actually monitors these ADLs? First, we need to collect recordings of people standing up from a chair and walking in a mock-up setup. These data are then used to train and test the methods. Naturally, the ultimate evaluation takes place with the target group users at the actual environment, where RADIO will be used. So let’s get started with data collection! An office chair stands in the middle of our RADIO smart room (not furnished yet, so loads of empty space) and some routes are marked on the floor. “Joe” the RADIO Turtlebot stands at a side of a room looking at every corner of the testing site. We are now ready to start recording video (camera), depth (camera and laser) and audio data (mic)! For the past two weeks, our colleagues at NCSR “Demokritos” and ourselves have participated in data collection. Each one of us came back to the lab three times, each on a different day. Each time we walked two different routes under two lighting conditions (lights on or off) and two different scenarios of obstacles (with and without obstacle). That makes a total of 24 routes per subject. 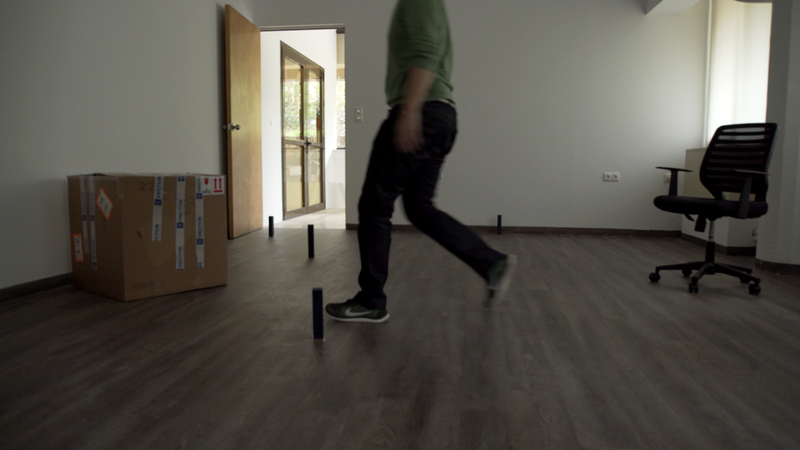 In total 13 subjects participated, filling our hard disks with over than 300 short recordings that now wait to be further processed and used to train and fine-tune the pattern recognition methods! 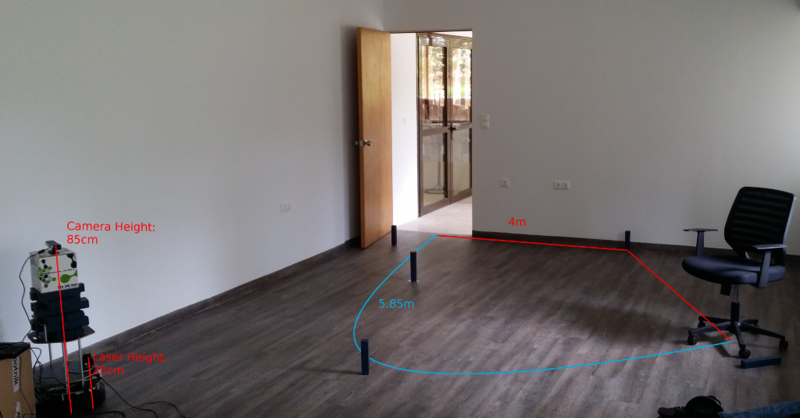 This information is the corner stone which will enable our robot to distinguish patterns of human activities like standing up from a sitting position, start walking and going out of a room.